To be a good corporate citizen, we must first be good neighbors. We address the specific needs of the communities in which we live and work through volunteering and local grants. Our donations support education, health and safety, natural resources, the arts, civic and social services and disaster relief. Through the National Energy Education Development (NEED) Project, we fund energy education workshops for teachers in the U.S. We help teachers educate students on a wide range of topics including energy conservation and alternative energy sources. Over 95 percent of the workshop participants indicate that they will use the materials in their classrooms. To date, we have reached approximately 600,000 students through the program. The ConocoPhillips Rice Elementary Science (CPR) Lab in Houston, TX, provides teachers professional development experiences for teachers. These experiences foster a deeper understanding of science content and promote inquiry-based, student-centered science instruction. As part of the program, each participant receives more than 105 hours of direct contact, plus long-term mentoring and field excursions. Data from Texas state tests indicate that students of teachers who have completed this program outperform other students whose teachers have not. The program has impacted over 100,000 students. As part of our focus on education, ConocoPhillips is proud to sponsor the Rodeo Run. This 10K and 5K run through downtown Houston kicks off the Houston Livestock Show and RodeoTM Parade in front of thousands of cheering spectators while raising funds to support the education of Texas youth. The 2017 Rodeo Run, which marked the event’s 30th year, had more than 9,500 participants. Each year, the Run’s entry fees benefit the Houston Livestock Show and RodeoTM Educational Fund, which provides scholarships and other educational opportunities to deserving students across the Lone Star State. 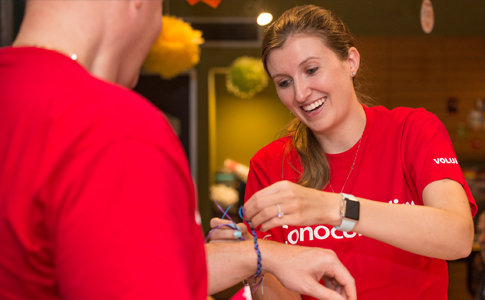 ConocoPhillips’ contributions and volunteer support during the event’s 30-year history have allowed us to raise more than $5 million for education. To learn more about this event or register to run, walk, or volunteer, visit rodeohouston.com/rodeorun. 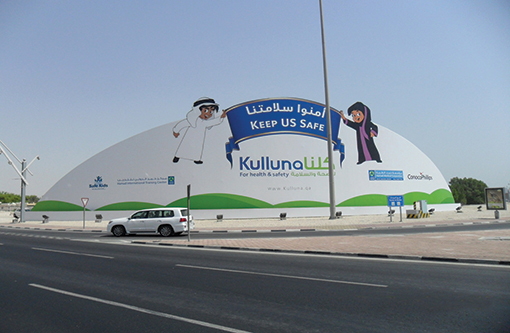 Funded by ConocoPhillips, "Kulluna" – "All of us" in Arabic – is a campaign launched in Qatar to improve awareness of the basic principles and actions required to ensure safety and good health. 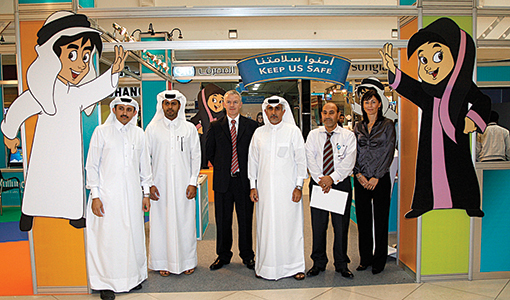 The program features mobile and interactive public events that provide information on general health issues, personal safety, available medical services and life-saving practices. United Way organizations are engaged in nearly 1,800 communities across more than 40 countries and territories worldwide to create solutions that build stronger communities. We are proud to support United Way’s mission of improving education, strengthening financial stability and making communities healthier by supporting the local United Way organizations in the communities in which we operate. In 2017, we held eight United Way campaigns around the globe, raising more than $8 million in employee, retiree, and company contributions. In Houston, our employees volunteered more than 1400 hours at United Way agencies around the city as part of our 2-week campaign that raised more than $5 million dollars for United Way of Greater Houston, making us one of the largest campaign in the greater Houston area. 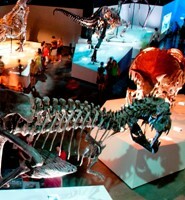 Millions of visitors to the Houston Museum of Natural Science (HMNS) have enjoyed science-based education in the “ConocoPhillips Energy Explorations Theater” and “Hands On Science” demonstration lab. Touted by the museum as “The World’s Most Sophisticated Energy Exhibit,” Weiss Energy Hall provides an interactive, engaging explanation of the role energy plays in society. The “Hands On Science” demonstration lab allows visitors to “feel” how science impacts their daily lives. The HMNS outreach programs help teachers and students learn about topics such as earth science, astronomy, energy conservation and zoology. 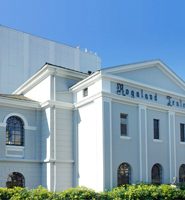 The Rogaland Theater in Stavanger, Norway, is one of the country’s leading theaters, offering productions for both adults and children. The facility offers an arts group for children and youth, Barne-og Ungdomsteatret (BUT), that stages an annual event enjoyed by about 30,000 guests. Our partnership with Rogaland Theater ensures that the facility and programs are able to flourish.